TISSNET 2019 – The Tata Institute of Social Sciences has released the result of TISSNET 2019 on February 11, 2019 at 8pm. The shortlisted candidates who appeared for TISSNET can fill and submit the Detailed Application Form. The last date of filling and submitting the form is March 31, 2019. The examinations were conducted the entrance exam on January 13, 2019. The admit card TISSNET was released on December 29, 2019. Tata Institute of Social Sciences closed the application process on December 12, 2018. TISSNET 2019 also known as Tata Institute of Social Sciences National Entrance Test was conducted in the computer-based mode in across 39 exam centres in the country. Candidates who wanted to apply for the M.A. programmes offered at the different campuses could check here for the details related to admissions. The application forms were available in online Candidates could apply for a maximum of three programmes at any two of the Tata Institute of Social Sciences campuses. Candidates were advised to go through the eligibility criteria prescribed for each programme before applying for the same. The admit card will also be made available for candidates in the online mode. To practice before the examination candidates can attempt the sample papers along with the mock tests which were made available online two weeks before the examination. Practising with sample papers and mock tests will help candidates gain confidence to face the main exam. The mock tests along with the link to the previous year's tests are available here. Read more to know the important dates, eligibility criteria, exam pattern and syllabus and mock tests of TISSNET 2019. Latest: TISSNET Result 2019 has been announced; Check here. The result of TISSNET 2019 has been declared on February 11, 2019 at 8pm. The result is released in the form of a scorecard containing the name, rank and score of the candidate. Candidates who qualify will have to attend the Pre-Interview Test, Group Discussion & Personal Interview (PIT-GD-PI) which will be conducted from March 5 to April 4, 2019. After the completion of this round, the list of selected candidates will be released by the institute following which two waiting lists will be released. The final result will be released in the form of a merit list including the names ranks and scores of candidates who have been selected for the different programmes. The selection process for TISSNET 2019 will be conducted in two stages and will have three components for assessment. Based on the performance in the entrance exam candidates will be shortlisted for the Pre Interview Test and Personal Interview (PIT/PI). The TISS DAF has been released by the university. The shortlisted candidates who appeared for TISSNET 2019 can fill and submit the forms Pre Interview and Personal Interview (PIT/PI). Candidates who secure and admission to the programme of their first preference will not be on waiting lists for any other programme mentioned in their list of preferences. Candidates, who are allotted a seat in a programme which was their last preferences, will be retained in the waiting list of a preference higher in the order, till the seats in that programme are filled. In case, the candidates qualify in two programmes at the same time, when the waiting list is released, the higher preference will prevail. The Institute will offer admission only to the higher preference. 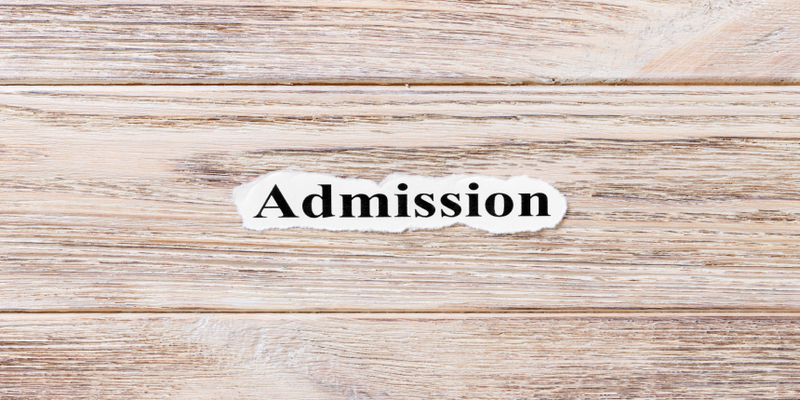 When a candidate who has already taken an admission in a programme as per their first merit list is subsequently offered the higher preference when the waiting list is activated, the candidate will be moved into the programme of higher preference and will be informed about the same. The important dates of TISSNET 2019 released along with the notification will give candidates the timeline for the event related to the admission process. The candidates must have completed their bachelor’s degree or its equivalent from a recognised college/institute. Candidates in their 3rd year of degree programme can also apply for TISSNET 2019 provided that they have passed in all the subjects from their 1st to 4th semester. Candidates in their 4th year of degree programme can also apply provided they have passed in all the subjects from their 1st to 6th semesters. Candidates who have been declared as failed in their final year of degree will not be eligible to apply. Only those Candidates who are able to complete all the requirements of their final year Bachelor's Degree examinations by Saturday, June 08, 2019 are eligible to apply to all the programme. Preference will be given to candidates who have graduated in Social Work, Psychology, Special Education, Occupational Therapy, Physiotherapy, Speech Therapy, and Disability rehabilitation-related fields. Graduates with a minimum of 2 years experience in the field of social welfare will also be preferred. a) Bachelor's Degree of minimum of 3 years duration or its equivalent (under the 10 + 2+ 3 or 10+ 2+ 4 or 10+2+2+1 year bridge course pattern of study or any other pattern fulfilling the mandatory requirements of 15 years formal education) from a recognised university, in any discipline. b) Candidates should have 2 years of professional experience in any field of work after graduation. Candidates should have completed their internship on or before Monday, June 08, 2019. Candidates who are in their final year in the Bachelor’s degree programme are not eligible to apply. Candidates should have completed their internship on or before Monday June 08, 2019. Candidates who are in their final year in Bachelor’s degree programme are not eligible to apply. Candidates should have completed their internship on or before Saturday June 08, 2019. Candidates who are in their final year in Master's or Bachelor’s degree programme are not eligible to apply. General Eligibility along with graduation in one of the following disciplines Engineering, Architecture, Management, Physical Sciences, Geography, Planning, Law, or Social Sciences, with interest in habitat-related issues/sectors. B.A. General with minimum three papers in Psychology. Candidates who will appear for their final year B.A. examination in 2019, with the above subjects and are awaiting results are also eligible to apply. B.A. General, with minimum three papers in Psychology. Programme requires completion of Bachelor's Degree of minimum of 3 years duration or its equivalent (under the 10+2+3 or 10+2+4 or 10+2+2+1 year bridge course pattern of study or any other pattern fulfilling the mandatory requirements of 15 years formal education) from a recognized university, in any discipline. Candidates must have 2 years of professional experience in any field of work after graduation. The application form for TISSNET 2019 was available online from October 30, 2018. Candidates who wanted to apply for the different Masters' programmes offered by the different campuses could apply online until December 12, 2018. Those candidates who stayed in remote places could send the printed form by Speed Post. Candidates who applied online need not have sent the application form by post. The exam centres for TISSNET 2019 have been divided into four regions. TISSNET 2019 was conducted in about 39 centres across the country. Candidates appearing for TISSNET 2019 can check here the different regions. The admit card for TISSNET 2019 has been released. The admit card was issued to only those candidates who complete the applications of TISSNET 2019. Candidates must note that the Admit card of TISSNET 2019 will not be sent to candidates via post. Candidates are required to paste a passport size photograph on their TISSNET 2019 admit card in case the photo on their admit card is not printed properly. In case of any discrepancy in the Admit card, the candidates should contact the Office concerned where he/she submitted his / her Application Form in order to avoid any last minute inconvenience. Mock tests are useful for candidates to prepare themselves well for the examination. TISSNET 2019 mock tests were available from January 6, 2019. Candidates can check through the mock tests from the previous year to prepare themselves better for the exam.